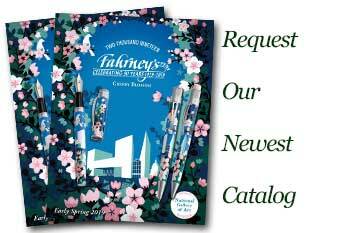 Order your Monteverde Luna Fountain Pen Desk Set today from FahrneysPens.com. Fine Pens, Refills & Luxurious Gifts – great prices & fast shipping. Never be caught searching for a pen again – the new Luna desk pen stands at attention, ready to write at a moment’s notice. 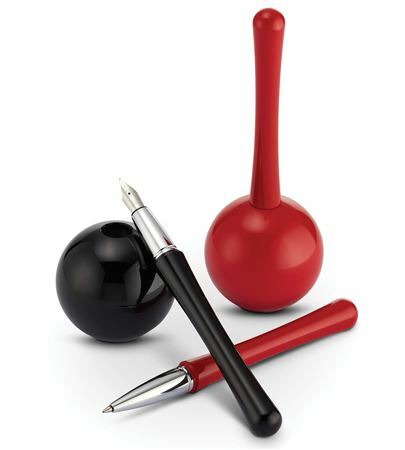 The red or black polished lacquer Luna is a modern design that won’t take up precious desk space. Made from solid brass, the heavyweight base will stay put and keep your pen handy at all times. 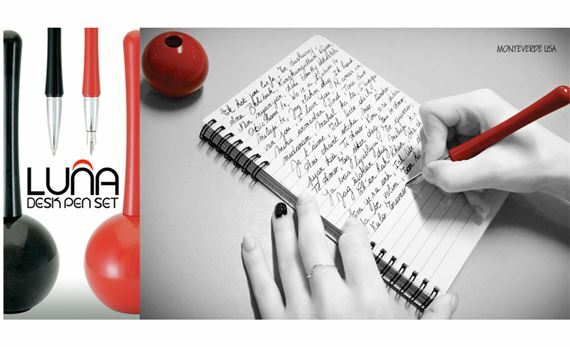 The compact Luna comes in two smooth writing modes: a fluid rollerball or fountain pen available in four point sizes! Gift boxed. Cartridge/converter fill. Measures 5 1/2"h x 2”w.